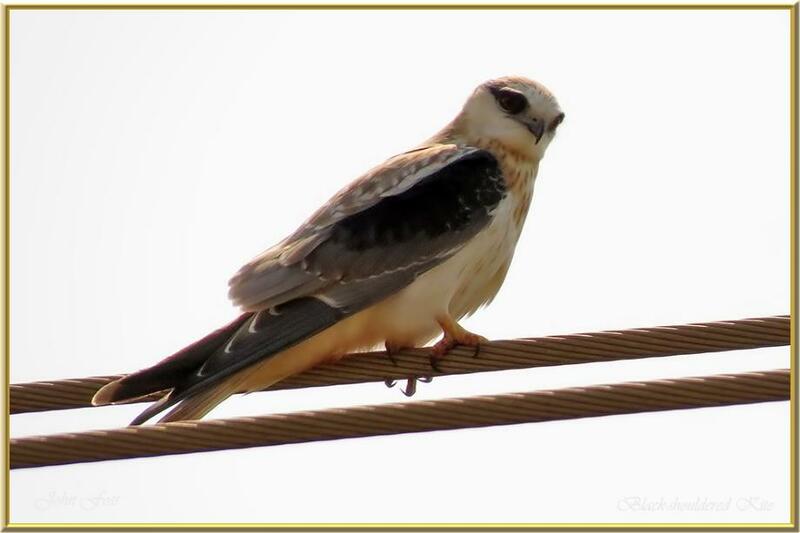 Black-shouldered Kite - or simply Australian kite. Very similar to the Black-winged Kite (Elanus caeruleus) found in Africa, Eurasia and North America. The black-shouldered kite is rated as least concern on the International Union for Conservation of Nature (IUCN)'s Red List of Endangered species. I have now come across both of these variations. This Kite in Bundaberg Australia and the Black-winged Kite in Portugal. Although reported throughout Australia, they are most common in the relatively fertile south-east and south-west corners of the mainland, and in south-east Queensland where I was lucky enough to take this photograph. The Kite was quartering the sugarcane fields near Bundaberg.